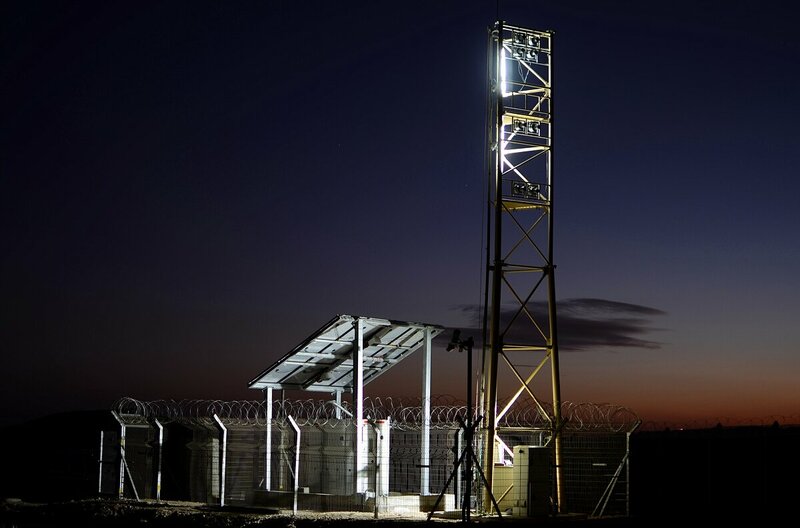 Passive electro optic radars are used for improving the detection of intruders around critical installations in a growing number of countries. Magna, an Israeli company, has developed a series of very advanced passive radars. Magna developed a passive electro optic radar based on stereoscopic vision with the ability of detecting various targets, 24/7, in all weather conditions. The radar enables detecting, tracking and monitoring various targets in a predefined field and measuring their location, distance, size, 3D vector, elevation, azimuth and velocity as to determine the level and type of the threat they pose. According to the company, this task performed with a very low false alarm rate. The basic configuration is composed of four cameras that use day imaging and thermal imaging technology in order to detect any intruder or predefined targets in the field of view. The video signals from the four cameras are further computer processed with proprietary software. The system’s features include ultra-low False Alarm Rate (1 FA to 24 hours), a high probability of detection (over 99%), various user defined filters in order to remove nuisances and select specific targets, and target’s parameters evaluation. Magna’s says that its Passive Electro-optical Radar System is applicable to numerous areas of Homeland Defense and others including perimeter control, facilities protection, border security, coastal defense, aircraft detection and even bird’s detection at airports runways, they emphasizes the fact that it’s Passive Electro-optical Radar System exploits the use of inexpensive cameras and PC hardware and software that greatly reduces system’s overall costs. The company reveals that its products are already in use in many sensitive sites around the world like nuclear reactors and more. In Israel the list of customers includes the Israel Prison Authority, Israel Airport authority, Israel Police and the Israel Defense Force.